I have always wanted to be involved in my kiddos' school when they started. One of the many perks of staying at home is that I have the chance to do so. Last year when Cooper was in kindergarten, I volunteered often whether it was class parties or field trips ... I was happy to help with whatever needed to be done. So this spring when I was asked to be the vice president of the PTO, I said yes! I love getting to be up at Cooper's school (Millie Jo's in just two short years ... someone hold me) & getting to see him. Plus I get to take Millie Jo with me! The PTO has lots of fun stuff planned for this year & I'm looking forward to it so much. 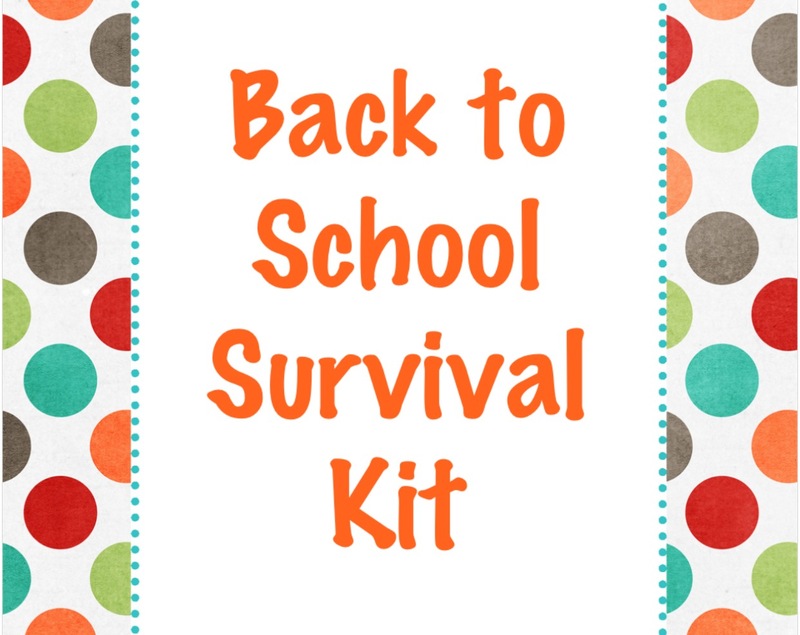 The very first thing we did before school even started was a Back to School Teacher Survival Kit & the teachers LOVED it! We gave each teacher a basket full of all the essentials for being back at school ;). Here's what we put in them . . .
A little note telling them we hope they have a great year. These were such a huge hit and made a perfect back to school teacher gift. They were fun & super easy to put together as well! 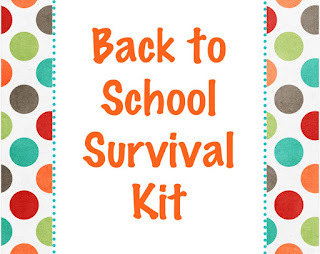 And of course, you can add anything to your survival kit that you'd like.